Who would have thought that rice and eggs would end up on my plate for breakfast? 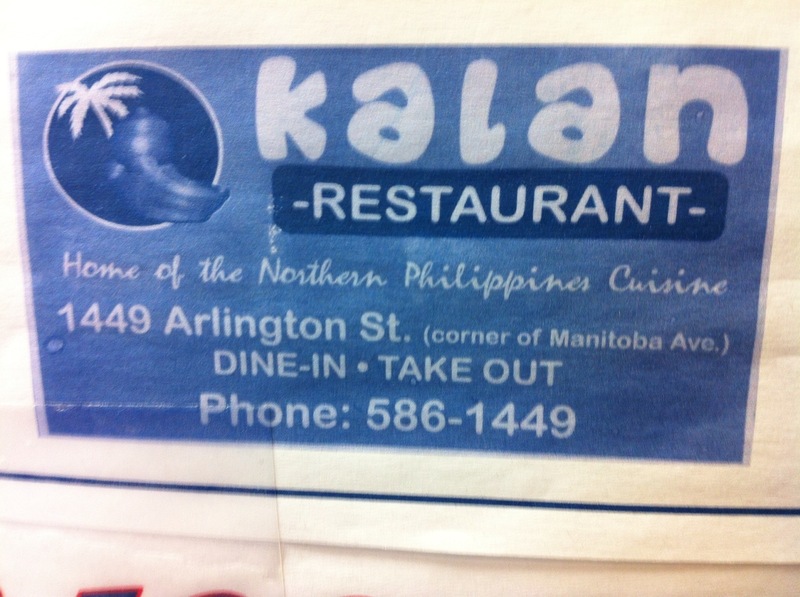 Well it does here at the home of Phillipines cuisine at Kalan Restaurant in Winnipeg, Manitoba. 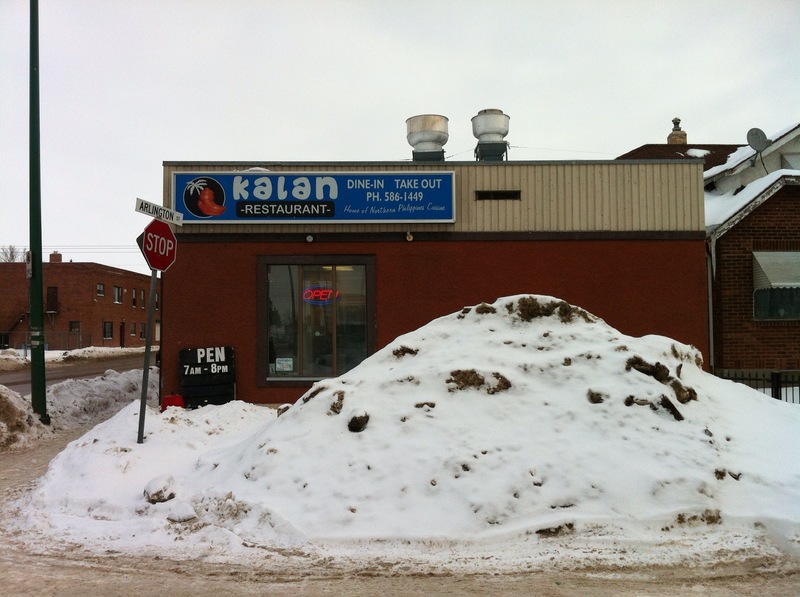 Located at 1449 Arlington Avenue, this little restaurant delivers big flavour and taste. Open for breakfast, lunch and dinner, you can find both traditional and North American flavours on this menu. 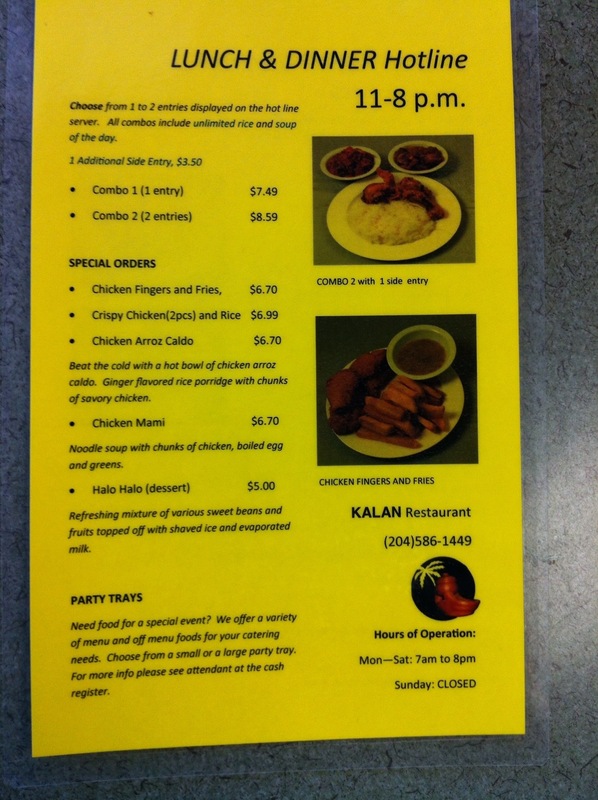 Kalan serves your standard bacon and eggs, but you can get that anywhere. 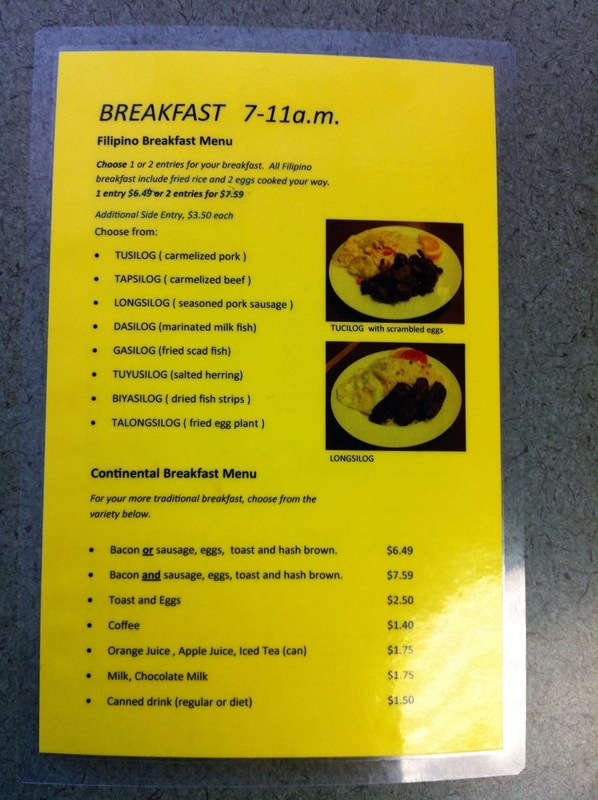 The part of this menu that you have to try is certainly the Fillipino Breakfast Menu. 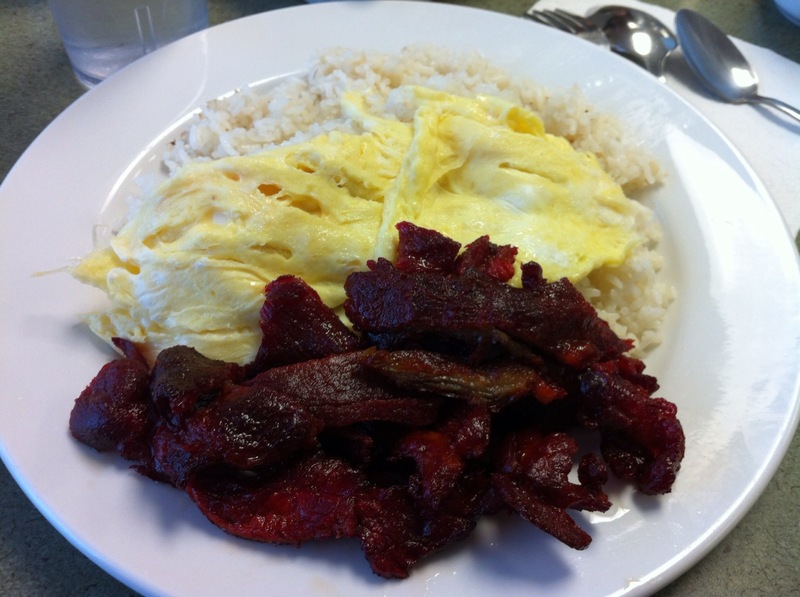 All dishes are served with fried rice, 2 eggs prepared to order, and you chose of meat. Choices include carmelized pork or beef, salted herring, or fried egg plant to name a few. Just a fair warning, that isn’t ketchup in the red bottles. 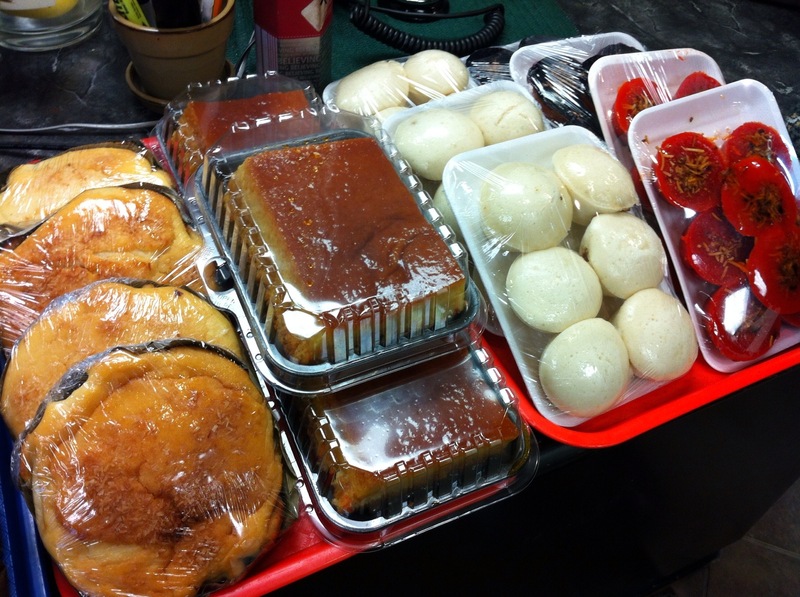 Don’t forget to stop by the counter and pick up your treats for the road. This entry was posted in Restaurants & Reviews and tagged 2013, Breakfast, Canada, Manitoba, Restaurant, Winnipeg. Bookmark the permalink.